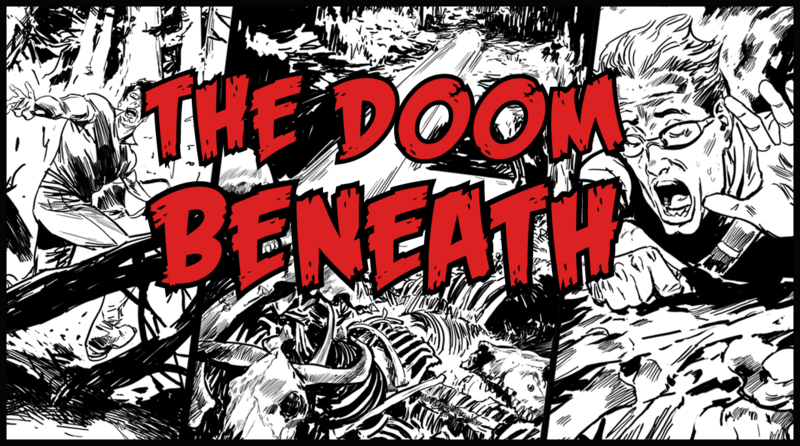 Coming October 1st, 2015, to the mobile phone in your pocket (or the tablet on your coffee table), The Doom Beneath is an interactive graphic novel telling the story of a lone geologist who stumbles over a terrible secret deep underground. 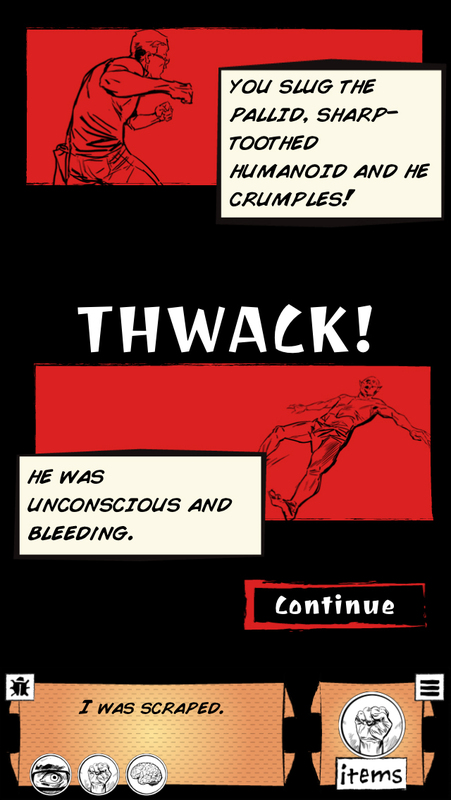 The app offers a new twist on the choose-your-own-adventure style of storytelling, adding turn-based combat and roleplaying game elements. 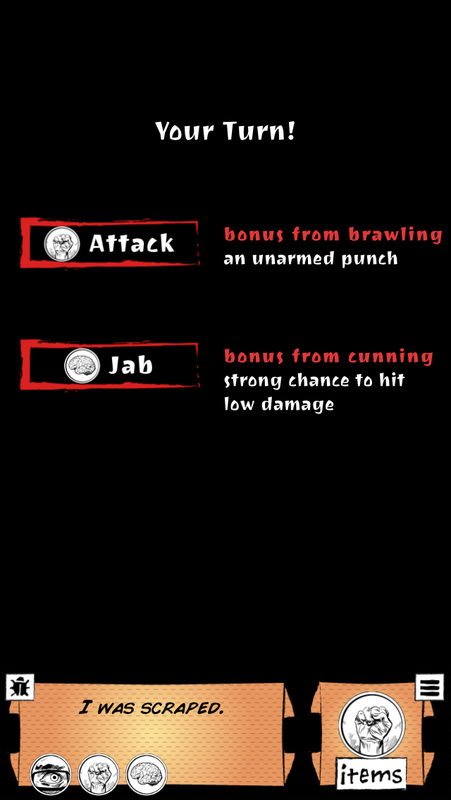 The Doom Beneath, evolving on developer Robot Monster Productions’ previous title, This is Not a Test, begins by having players choose three of six possible skills, with each skill offering additional choices, challenge bonuses, and special combat options as players progress through the game. Survival may come from brute force, finding the right artifact, or discovering a trustworthy soul. 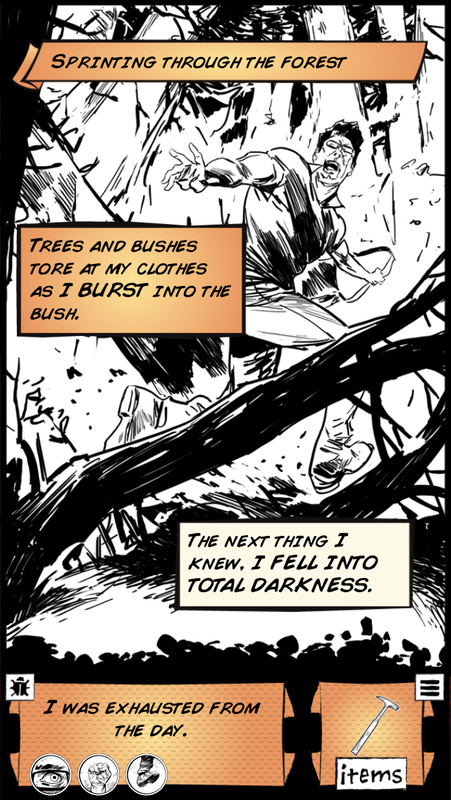 Each decision yields untold rewards and consequences as they traverse the horrors beneath the earth's surface. Will you traverse that web-ridden corridor? Will you venture toward those strange sounds? Will you take time to steel yourself, or will you rush your way through, consequences be damned? It is all up to you, but how long do you think you can last before you succumb to The Doom Beneath? Robot Monster Productions is a Canadian independent game developer seeking to subvert the polygons of the game industry giants with 2D art and narrative. The company was founded in 2012, was awarded iPhone Quality Index Finest Games Publishers of September 2013 for the critical acclaim of This Is Not a Test, and works proudly with talented independent artists to tell its tales. 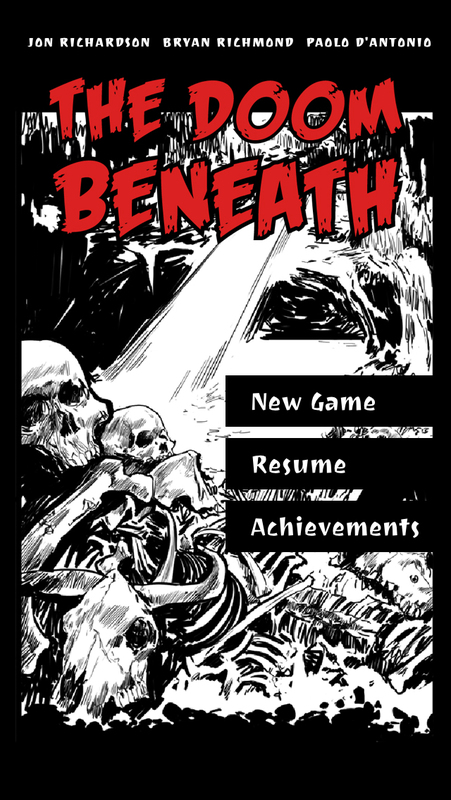 The Doom Beneath Just Launched on iOS and Android!